A stand-up wooden picture holder with hinged plaque featuring age-old block carving and printmaking techniques. 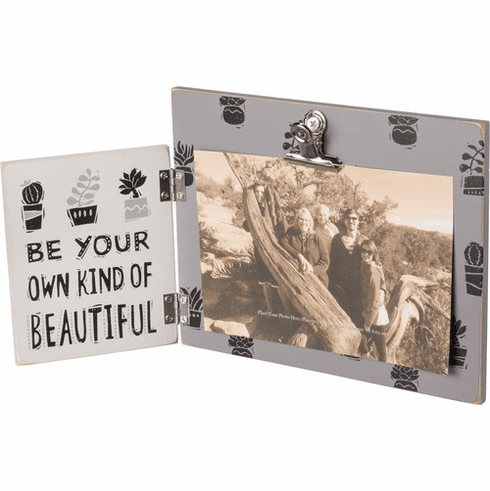 Lends "Be Your Own Kind Of Beautiful" sentiment, succulent designs, and metal clip to display 6" x 4" photo. Complements well with coordinating block print pieces.